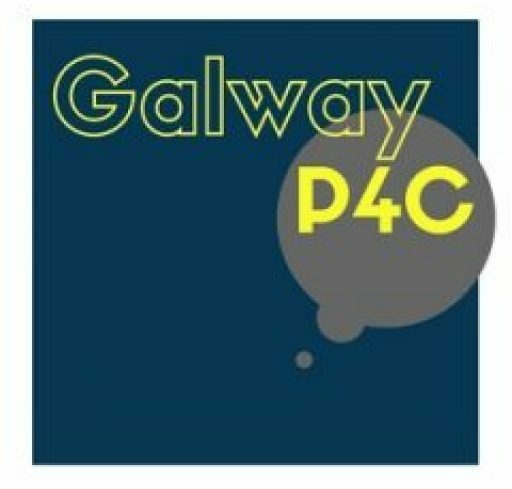 This November, Galway P4C was excited to be a part of the T.Ed programme at TULCA Festival of Visual Art, ‘They Call us the Screamers’ curated by Matt Packer. Our team worked with first level students from Scoil Fhursa, shaping an enquiry around an installation by Sam Basu and Liz Murray, and shaped enquiries around Richard Proffitt’s installation: ‘The Shortcut: or, Don’t follow the Black Dog’ at 126 Artist-Run Gallery. After meeting our first level group the festival’s education hub for a session looking at what a philosophical question is, the group went to experience the outdoor installation and ask questions of education coordinator Joanna McGlynn, while our facilitators took photographs and made notes of the children’s’ first thoughts. Our Transition Year groups prepared for their gallery visit with a philosophical skills-building session in school; problematising what constitutes a philosophical question, and an overview of the 4 C’s (collaboration, criticality, caring, and being creative) of good philosophical dialogue. The following Monday, facilitators met the groups at the gallery, and after viewing the work had two fruitful enquiries about the role of so-called negative emotions and their necessity or otherwise within human experience.